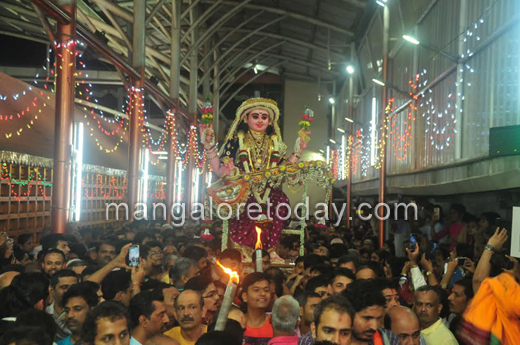 Mangaluru, Oct 12, 2016 : The 94th Shree Sharada Mahotsava of the Shree Venkatramana Temple at Carstreet, concluded on October 12 Wednesday with a grand and colourful Shobhayatra. 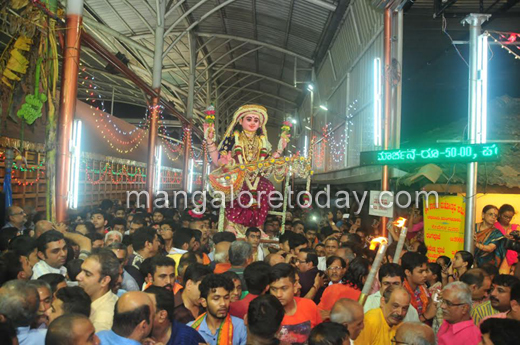 The procession featuring several attractive tableaux and Hulivesha teams passed through the main streets of the city .The procession was passed through Mahamayi Temple, Navbharth circle,Dongerikeri, New Chitra Talkies, Carstreet and concluded with immersion of idol in the Mahamayi Temple lake. 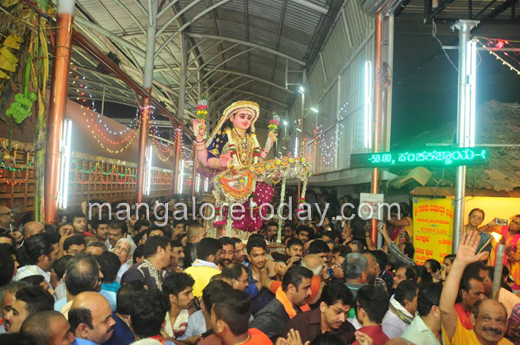 Thousands of people to witness the procession, blessed to see the idol of Goddess Sharada .